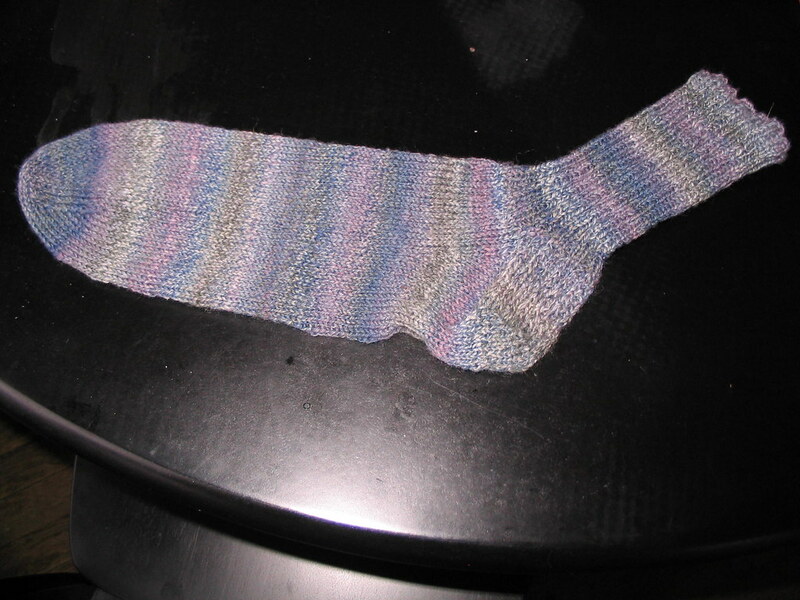 the other night i finished the first of eric's socks. last night he tried it on and it fits PERFECTLY. i am SO excited! that really made my day. he's never had hand-knitted socks before and he said it was amazing. he loved the color, the fit, everything. i can't wait to finish the second one. then i'm going to get started on a pair for me! i'm running late so i gotta go. later, taters! That is a 'noice' (as we say in Australia) sock. He's a lucky Eric!